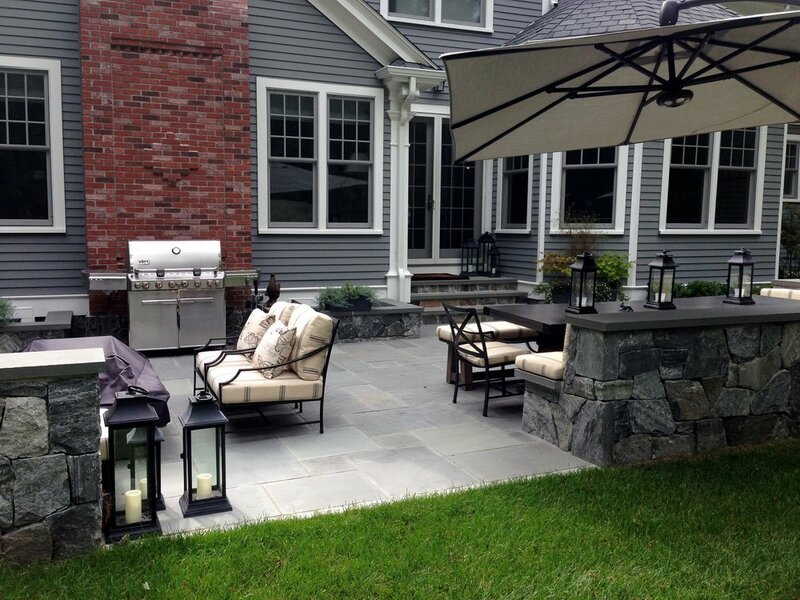 Patios - Landscape Design and Installation in Lincoln MA | Premier Pavers & Hardscape Co.
Patios: Put Your Feet Up and Relax! Patios bring indoor living outside! The addition of a beautiful patio can turn an ordinary backyard into a true extension of your home’s living area. 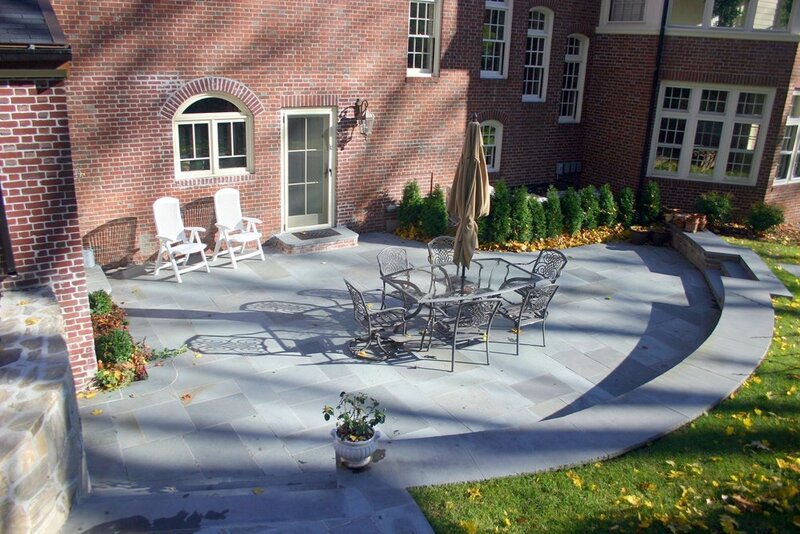 Pavers, clay bricks, bluestone, granite, travertine, and porcelain are the materials most commonly used for patios. Choose among permeable or non-permeable concrete and brick pavers. Enjoy an informal outdoor room for relaxing and entertaining. Extend your indoors to the outside: A patio provides a seamless transition to the outdoors. View endless design options ranging from intimate patios to a multi-level series of garden rooms. Patios can be accessorized with features such as outdoor kitchens, fire pits or fireplaces, water features and more. Customize yours with your choice of materials, colors, textures, shapes, sizes and styles. Put your feet up and relax—a beautiful patio adds enjoyment to your life and value to your home!